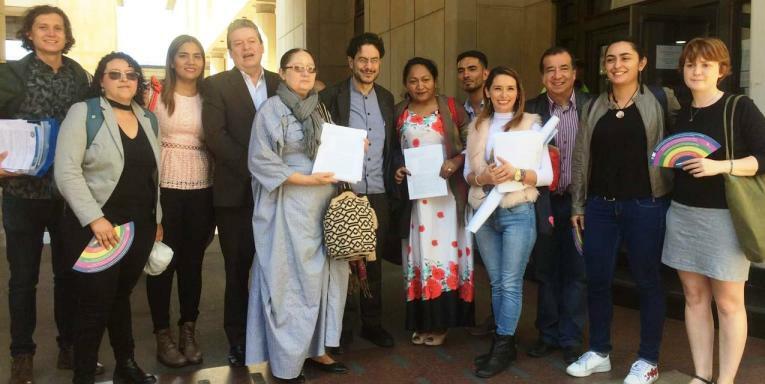 Press release from CAJAR lawyers’ collective (Colectivo de Abogados Jose Alvear Restrepo), Bogota, Friday 22 February 2019. (Unofficial translation; original in Spanish.) Cerrejón Coal is owned by London-listed companies Anglo American, BHP and Glencore. The legal action also seeks protective measures to suspend any processes which might grant further permissions to the company. The ‘nullification action’ aims to establish the Cerrejón mine’s responsibility for the humanitarian crisis, the loss of food security and the scarcity of water which has led to the deaths of 5,000 children and the lack of nutrition of 40,000 more. The environmental permission relied on by Cerrejón Coal for its operations is around forty years old and has been subject to sixty modifications. The original licence was issued by means of Resolution 797 of 1983 of the National Institute for Natural and Renewable Environmental Resources, INDERENA. As time has gone on, the mien has expanded and absorbed the other mining projects inn the region, until in 2005, by means of Resolution 2097 of 2005, all Cerrejón’s mineral exploitation was unified. The legal action presented by communities affected by the mine’s environmental impacts focuses its arguments on the fact that this most recent modification was made without the necessary new Environmental Impact Study, necessary for such a modification, using legal resources to avoid this step and ignoring earlier studies. Within the text of around 300 pages are included the results of scientific studies of the contamination, health effects and negative environmental impacts of coal exploitation, as well as official findings and documents (1) providing evidence of the negligence and lack of control and oversight under which this project operates. The lawsuit also presents the proven impacts which this coal exploitation has had on the Department of La Guajira and its inhabitants – the Wayuu people who have been in the area since time immemorial, and the communities of African descent. These include the cases of the forced displacement of the African descent communities of Tabaco, Patilla and Chancleta; the effects on the health of the child Moisés Guette Uriana and other children of members of the indigenous reservation of Provincial; the violations of constitutional norms and the responsibility of the mine for having exploited the productive zone of lower Guajira; the diversion of the Bruno and Tabaco streams and the River Palomino and the contamination and excessive use of water. It is necessary to point out that the ‘nullification action’ is aimed at making clear the responsibility of the Cerrejón mine for the humanitarian crisis, the loss of food security and the scarcity of water which have brought about the death of 5,000 children and the lack of nutrition of 40,000 more. In addition, it has interfered with and appropriated more than seventeen rivers, and more than 48 bodies of water, lakes and streams, among others, are contaminated as a direct result. The legal action also seeks preventive measures to suspend any process of modification of the licence, that is, any expansion of the coal exploitation activity, unless the environmental authorities make clear the necessary measures for the protection of the collective and individual rights affected by it, taking into account the environmental and economic damage and the grave human rights impacts being inflicted on the people of La Guajira affected by this project. 1. Including the most recent Technical Concept of ANLA (National Environmental Licnecing Authority) CT 4698/17, which revises the entire Environmental Management Plan in accordance with order T-704 of the Constitutional Court.